세비야 - 시티 센터에 가까운 호스텔. 세비야의 지도, 세비야에 위치한 호스텔에 대한 사진 및 리뷰. 세비야에 호스텔, 저렴한 호텔, 아파트, 게스트 하우스, B & B를 찾고 계십니까? 세비야의 모든 최고의 가격은 kr.Dorms.com안에 있습니다. 매달 수천명의 여행자들이 이곳에서 예약을 진행하시듯이 고객님도 세비야의 저렴한 가격에의 호스텔을 안전하게 예약하실 수 있습니다. 웹사이트에 고객님이 원하시는 핫 트렌디 시내 주변의 호스텔을 쉽게 찾을 수 있으며, 대학가, 기차역, 공항, 모든 세비야의 관광명소에서 가까운 호스텔을 찾을 수 있습니다. 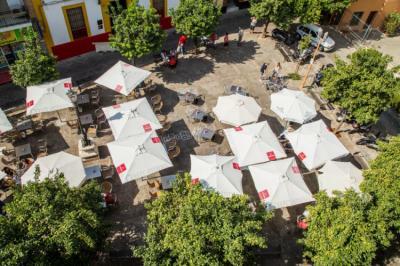 Old Town is a great choice for travelers interested in architecture, tapas and atmosphere. Old town is a great choice for travellers interested in architecture, atmosphere and good food. (We love tapas!) The fabolous Seville’s cathedral and the Alcázar Palace are 10 minutes’ walk away. 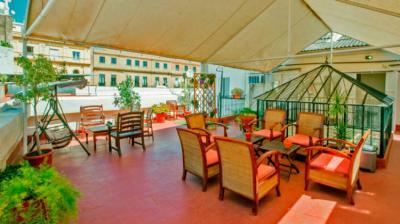 Hostel is located in San Andrés square where you can find a restaurant. Getting to the airport by car only takes around 20 minutes. 세비야 (Seville)의 중심부에 위치한 호스텔은 매우 깨끗하며 직원들이 친절합니다. 나는 추천한다. It was very easy to find. There were signs in the street to direct you straight to the hostel. The beds were nice and breakfast was good. The hostel was clean. 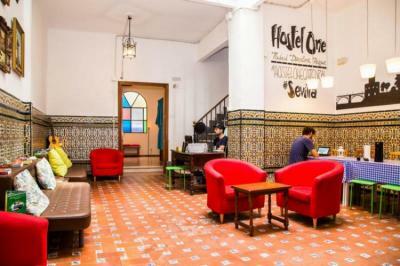 It was in a good location and easy to walk to all the attractions of Seville. Clean, hard working, friendly staff. Free dinners, always lots to eat. I loved the friendly atmosphere which is the result of effort of hostel maintainers and staff. If they were not so helpful and interactive the people travelling would not have bonded so well. Also night time free dinner is a great time to bond! Loved their free walks also. Amazing energy. You can totally get the vibe of the city staying on the hostel. I recommend a great value for money and stay for 4 to 5 days. Also great for day tours to other smaller places around. 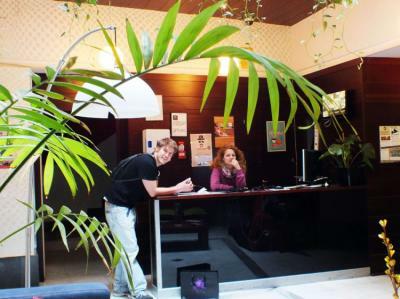 One of the best hostels I have ever stayed in, the atmosphere was great! The staff are super friendly and helpful. Socialising with other guests was made really easy with free dinners, sangria and a pub crawl. I would definitely stay again! 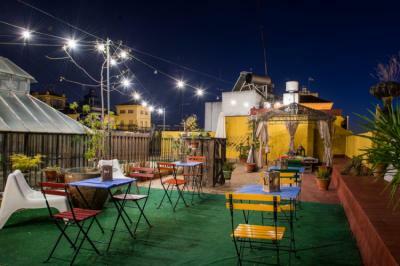 This hostel is such a friendly and sociable place, all the staff are so helpful and recommended loads of places to visit, to eat and to enjoy in Seville. The communal dinners every night are delicious, and a great opportunity to chat with everyone staying at the hostel, plus afterwards you can go out with the staff to explore Seville&apos;s night life - this definitely sets it apart from other hostels! The walking tour every morning was really popular and great for showing you around Seville. The hostel itself was really clean, safe and homely, fantastic location, and has a beautiful roof terrace which you can enjoy in the evenings. I miss it already! 아르크 하우스 세비야 호스텔은 "카르투아 섬"에서 단 900m, 아슬라 마히카에서는 1.3km, 세비야 공항에서는 9km 떨어져 있습니다. 세비야의 사적 중심지는 건축물 등과 같이 여행자들에 많은 볼거리를 제공하며, 또한 맛있는 "타파"를 즐기기에도 매우 좋은 곳입니다. The staff is super nice and helpful. They gave me a lot of recommendations and also helped me with booking tickets online and printing tickets. What’s more, the hostel has very good vibe every evening - you can meet many fellow backpackers while enjoying the free dinner with great music. Last but not least, I really love their daily free walking tours and night pub crawl. :) Highly recommend!! Was probably one of the best hostels I've stayed at. The staff are extremely friendly and the atmosphere is extremely conducive for meeting other travelers, which is great if traveling alone. The beds are well arranged with privacy thought of as well. Highly recommended if visiting Seville.